This story is sponsored by LG. The opinions expressed in it may not reflect the positions of PhoneArena. 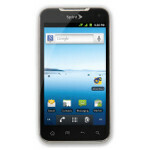 Sprint and LG recently launched the LG Viper 4G LTE - Sprint's first handset capable of delivering the LTE love to consumers. However, according to the manufacturer, there's a lot more going for the Viper 4G LTE than just LTE. In fact, LG believes that the Viper 4G LTE will make a perfect phone for busy parents! Here's the deal: LG is running this cool #LGParentisms campaign via Twitter in order to spread the word about the Viper 4G LTE and how busy parents in the U.S. can benefit from it. What's in it for you, the user? Well, you have the chance to win a brand new LG Viper 4G LTE! Here's how it works: Up until April 29, you can tweet you favorite parent quote using the #LGDadism hashtag for a chance to win a Viper. Then, from April 30 to May 6, you can do the same, but using the #LGMomism hash tag, for another chance to win an LG Viper. Sounds cool, doesn't it? Now, that's all great, but exactly how can the Viper ease your life if you happen to be a parent leading a uber-dynamic lifestyle? Well, simply watch the following video where we systematically lay out all the details surrounding the Viper's parent-centric nature! Head this way if you'd like to learn even more about LG's #LGParentisms campaign! This video is sponsored by LG. The opinions expressed in this story may not reflect the positions of PhoneArena.